The proposed Wildlife Wonders ecotourism experience near Apollo Bay received a boost today with The Hon. Jaala Pulford, Minister for Regional Development, visiting the site to announce $1.5 million in Victorian state government support for the project. “We’re really thrilled to have this state government support, and endorsement of what we believe is a really important project for our region,” says Lizzie Corke, CEO of the Conservation Ecology Centre, who are developing Wildlife Wonders. “There are so many benefits to this project. Wildlife Wonders will offer visitors a unique opportunity to experience the wild environment of the Otways in a really accessible way, and we hope it will encourage them to stay a little longer in Apollo Bay and give back to the local economy,” she said. Whilst there is much work to do to turn this spectacular 20Ha property into a thriving, predator-free environment, ready for visitors to stroll through, much of our iconic Australia wildlife is already quite at home at Wildlife Wonders. Kangaroos gather in the open areas at dusk, and koalas happily doze in the treetops of the forested areas. 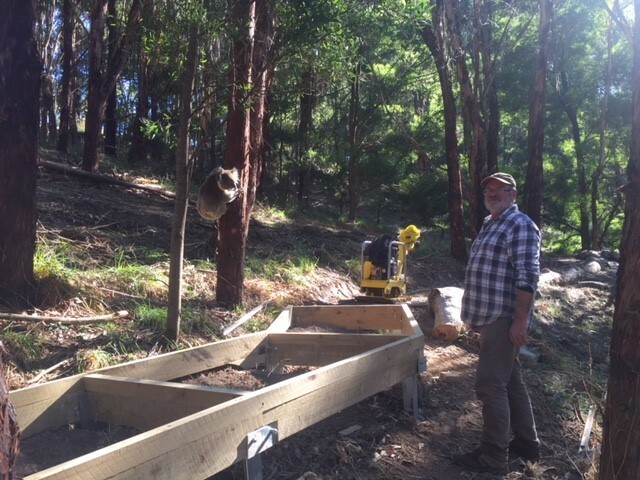 On a recent visit to the site, designer Brian Massey was more than a little taken when a local koala climbed out of his tree to come and say hello. Brian, the landscape designer the highly successful ‘Hobbiton’ in New Zealand, has been truly inspired by the stunning location of Wildlife Wonders, and the amount of wildlife already present there. He’ll be making many more visits to Australia to oversee the creation of his vision, and to visit his furry friends. Wildlife Wonders received approval from Colac Otway Shire in 2017 and is expected to commence construction in 2018. Read the Minister’s media release.